Historic places are often pulverized by the wrecking ball to make way for modern redevelopment. 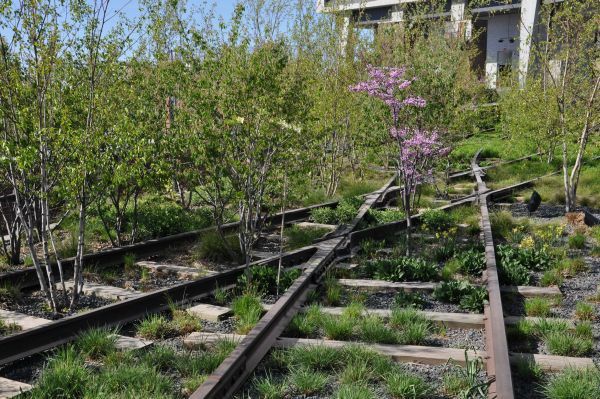 Not so with New York City’s historic High Line railroad, which runs for 1.5 miles through Manhattan’s West Side. Thanks to a small group of people with a grand vision and some imagination, the railroad that once ferried freight around local businesses now transports visitors on a winding tour through Chelsea’s historic industrial district.